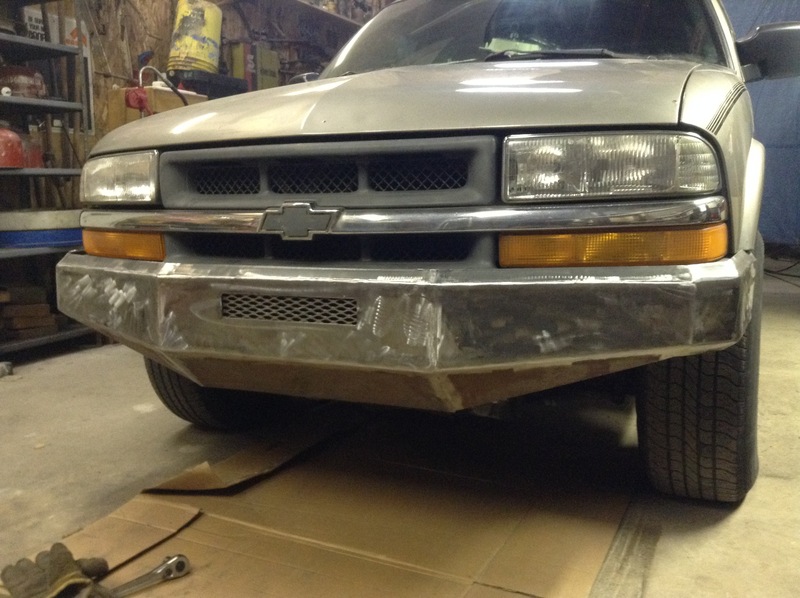 i am 18 and ive been working on and building a 2000 Chevy Blazer 4x4. i am looking to buy some tires and rims from a buddy. the rims are 15 inches, and width 11.5 inches. the tires are 32's. how much lift would i need for clearance. trying to go reasonably cheap. I custom built that bumper. Started from looking at it, to drawing and cutting with cardboard then that. Skip buying the rims, being that wide you will be going through front end parts rather quickly. Im looking to make it a toy, so idk what im doing yet. i really didnt want to buy new rims and tires. hes giving me a hell of a deal. the rims have radial tire mud claws on them. 75%tread left. he said 250$ and build him a bumper for the jeep hes getting. my bad. im new to this and still figuring out how to reply and do the basic things. Forget the T bar crank. Set your ride to the correct height. Buy what is correct or nearly so, and dont buy cheap. That screaming deal will cost you in the long run. So it will not really be a screaming deal, will it? It is 4 door, and 4x4. ive found 1-3' front leveling kit and 2' rear shackles, do you think that would be enough? The 1-3 leveling will only be your problem. Not because of the ability to clear the tires, you'll still have some minor trimming that'll need to be done, but most of the problems you'll run in to will be premature wear on your cv joints as well as things like ball joints, etc. The best solution would be a slight tweak to suspension and then a body lift to get you the other 2". You'll still need to trimming/bfh massaging but you won't be running through suspension and front 4wd components as quickly. You should take your time and think through what all you want to do, how high you want to go, end goals. If you think you'll be wanting more lift in the future you might want to just consider saving the money and going with the 6" lift from the start. That should give you the ability to clear 32's without much problem besides frame rubbing without sacrificing the reliability of your suspension/4x4 components. I figured ill be doing some trimming, and im crazy about everything being perfect, so itll be forever before i find exactly what i want. so basically dont mess with the torsion bars too much, if i do ill need realignment. i would like just enough lift to clear the tires. i really dont want to crazy lift it. A 6' would be fine. where would you recommend to look for those. Quick Reply: Lift kit/tires help.